Tony Law is a three-time Chortle Award winner, Amused Moose Best Show winner, and Fosters Edinburgh Comedy Award nominee. His extensive TV and radio credits include: Have I Got News For You (BBC One), The Alternative Comedy Experience (Comedy Central), 8 Out Of 10 Cats (Channel 4), Celebrity Mastermind (BBC One), Celebrity Squares (ITV) Never Mind The Buzzcocks (BBC Two), Heading Out (BBC Two), The Culture Show (BBC Two), Charlie Brooker’s Weekly Wipe (BBC Two), Edinburgh Nights (BBC Two), Tony Law’s Surreal Guide To Surreal Comedy (Radio 4 Extra), Loose Ends and Infinite Monkey Cage (Radio 4). 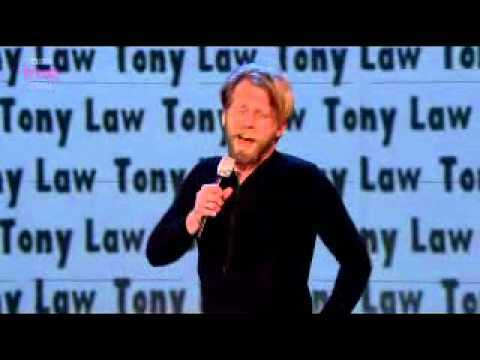 In 2017 his BBC Radio 4 show, Tony Law: 21st Century Adventurer, premiered and he also starred in Tony Law & Friends in the Battle for Icetopia – a comedy play on ice. In 2018 he’ll be returning to the Edinburgh Festival with a brand new show.